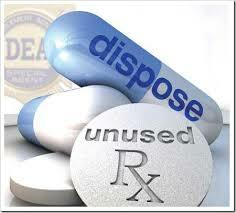 The Westmont Police Department will host an unwanted and expired prescription drug disposal program on Saturday, April 29, 10 a.m. to 2 p.m. at the Westmont Police Department, 500 N. Cass Avenue. The collection will accept pills, patches, and needles that are in a Sharps container. The program will not accept liquids, creams, inhalers, or EpiPens. For additional information regarding the U.S. Department of Justice Drug Enforcement Administration, visit their website at www.dea.gov. For more information regarding Westmont’s participation in this program, contact Deputy Chief Brenza at rbrenza@westmont.il.gov or 630-981-6323.